If you are the current or past owner of a hip replacement gone wrong (a failed hip surgery), you are not alone. In recent years, there have been a number of lawsuits against hip replacement manufacturers and their potentially dangerous hip replacements – Stryker Rejuvenate and ABG II total hip replacement systems DePuy ASR XL Acetabular total hip replacement system. In August of 2010, DePuy issued a recall of both its ASR hip systems (the ASR XL Acetabular System total hip replacement and the ASR Hip Resurfacing System), citing an unexpectedly high failure rate for the devices. The DePuy hip systems were implanted in more than 93,000 hip replacement surgeries internationally. As many as 40 percent of those patients could require a hip revision surgery to prevent serious complications and pain. 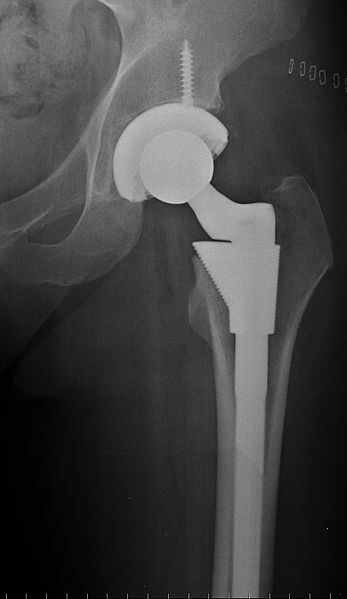 Although the Stryker Rejuvenate is not a metal-on-metal hip device, it has metal-on-metal components, which are responsible for metallosis in some patients. In April of 2012, Stryker issued an “Urgent Safety Alert” to surgeons and hospitals warning of the potential dangers of the Stryker Rejuvenate and the Stryker ABG II. The safety alert listed the potential dangers in the Stryker devices, including: “Excessive metal debris and/or ion generation,” caused by “fretting and/or corrosion at or about the modular neck junction,” which “may lead to increased metal ion generation in the surrounding joint space.” (Metallosis). If you have a Stryker Rejuvenate or ABG II, or a DePuy ASR XL hip replacement, you have legal options. Contact us online, or give us a call to discuss those options. We may be able to help you sue the manufacturer to recover compensation for your medical bills, pain and suffering, and other related losses.